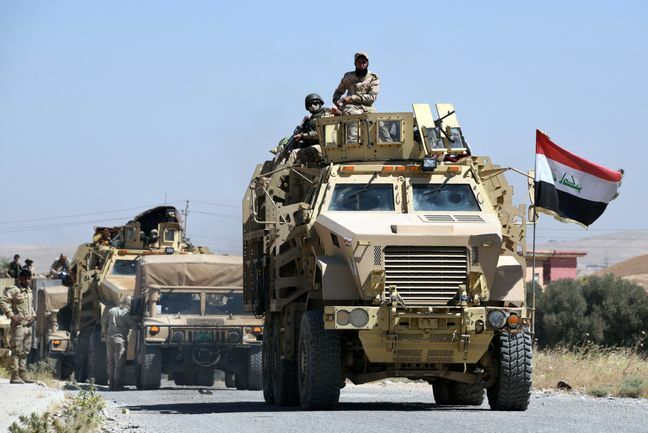 EghtesadOnline: Iraq's military said Saturday it has driven Islamic State militants out of 90 percent of the northern town of Tal Afar and retaken the town center. Brig. Gen. Yahya Rasool, a military spokesman, spoke hours after Iraq's foreign minister, Ibrahim al-Jaafari, said that 70 percent of the town west of Mosul had been retaken. Al-Jaafari spoke during a news conference with his French counterpart. According to Bloomberg, Iraqi officials often declare areas liberated before the fighting has completely ended, and the militants have been known to carry out surprise counterattacks. Iraq launched the operation to retake Tal Afar on Sunday, a month after it declared the northern city of Mosul, its second largest, to be fully liberated. Tal Afar is about 150 kilometers (93 miles) from Syria's border and it's among the last IS-held towns in Iraq. Iraqi and Syrian forces have advanced against the extremist group on a number of fronts in recent months with the help of a U.S.-led coalition. U.S.-backed and Kurdish-led forces are currently battling IS inside the group's self-declared capital, Raqqa, in northern Syria. IS still controls large areas in Syria and a handful of towns in Iraq. In the past, it has managed to inspire or carry out attacks in Europe and elsewhere even while suffering battlefield setbacks in the Middle East.